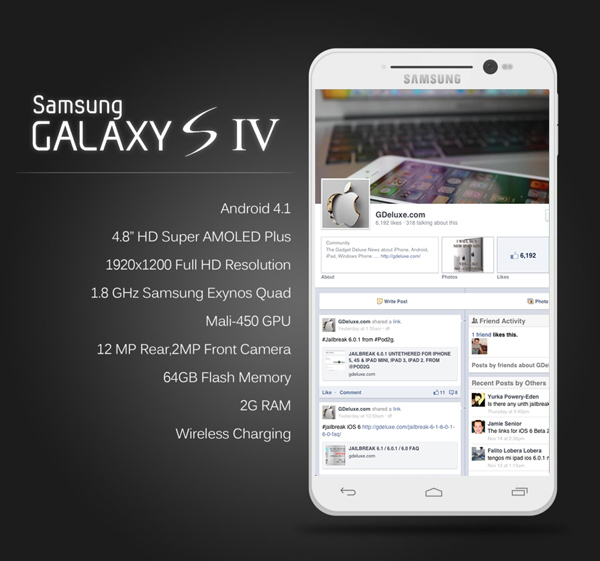 Samsung’s new Feature rich Galaxy S4 is amongst the most sought after Android Smartphone available in the marketplace. Apart from the galore of preloaded apps, it also holds array of features. However there are some hidden features you probably don’t know which can provide even better functionality for you. Here i am bringing you some of the top 10 galaxy s4 features you never know. The Samsung Galaxy S4 comes up with a feature which makes the entire process of check alerts and notification without entering into the menus. Another highlighting hidden feature which many might have missed to notice is Air Gesture. After reading this you will be tempted to do this. The Air Browse feature doesn’t look much great, but the ability to answer a call and turn the speakerphone on simply by waving your hand over the phone is quite brilliant and handy. Isn’t cool? We also suggest trying Quick Glance – wave your hand over the screen when it’s off to see the time and important notifications, such as new email. Samsung Galaxy S4 sports an infrared port that’s comes with a WatchOn application. By making use of these two you can use your smartphone for TV control as you would use any other universal remote. However setting up this feature is easy, since there exists a wizard which will guide you through the setup process in the WatchOn application. We all know that Galaxy S4 features a powerful 13 mp camera with it, but most of them are unaware of the voice control for the photos. Voice control? Yes. This feature can be really cool if your photo is attached to a stand and you can yell at it to take a snap. To make use of this feature, just head over to open the Camera application, go to Menu, Settings, tap on settings configuration and scroll down to Voice control. Once you turn this on you can say Shoot, Smile, Capture or Cheese to make your Galaxy S4 take the photo. My Device-> Smart Screen->Check Smart Stay->Check Smart Pause and turn smart scroll on. Still you can pick out more options in this menu. Application works rather well, for an example if you look away during a video it will pause, if you scroll your eyes to the left the phone will go to the next page and so on. We know Google translate, as like Google translator S4 comes with a language translator which converts your words, phrases and sentences between languages. You can either type or send a voice command of what you wanted to be translated. Cool isn’t? This is one of the highlighting features of Samsung galaxy s4. Incase if you have left your phone on the desk and when come back and pick the device, it will vibrate inorder to let you know if there is any notifications you need to respond to it. If it doesn’t vibrate, this means that you can simply toss it into your pocket and continue as nothing ever happened. To activate this feature, go to Settings->My Device->Motions and Gestures, Motion->Smart Alert – ON. Getting continuous annoying calls? Get rid of those problems galaxy S4 bring in a curtain to these annoying calls. You can ON the rejection mode where you can literally block all unwanted or annoying callers who are troubling you. This is a great and incognito way of ridding yourself from such annoyances. To fetch this feature, move over to phone application->Menu->Call Settings-> Call rejection. You will find an Auto reject list here, which is a list of phone numbers that will get blocked in case they try to contact your number. Galaxy S4’s lock screen is customizable by default – you can add widgets to it change some basic settings and adjust it according to your needs or requirements. In order to do this, you need to go to Settings – My Device – Lock Screen and pick Options. While you are here, make sure to pick a screen lock type to secure the phone. You can choose to see a clock or a personal message. You can also change your favorite application shortcuts here. Inspite of several features still available, i consider these are the top and essential features that every Galaxy S4 user must know to have more functionality while using the device. Motorola Atrix HD Review: Unbeatable Features in best Price.